According to an international report from Grad View Research, the global pharmacy automation devices market is growing at a substantial rate. By 2020 it is expected to reach USD 8,996.8 million. The devices referenced in the report include medication dispensing system, packaging and labeling systems, storage and retrieval systems, compounding systems and tabletop counters–all of which are being implemented to increase efficiency of work within pharmacies. John Koot, managing director of Willach Pharmacy Solutions, says, “There has never been a more important time for pharmacists to study their dispensary efficiencies. With increasing pressure on margins, pharmacies must prepare for the future by improving dispensary processes to reduce the cost of delivering their services. “Improving dispensing efficiencies facilitates customer interaction which helps to improve relationships and drive sales. This will only help to attract new customers and retain existing ones,” he says. 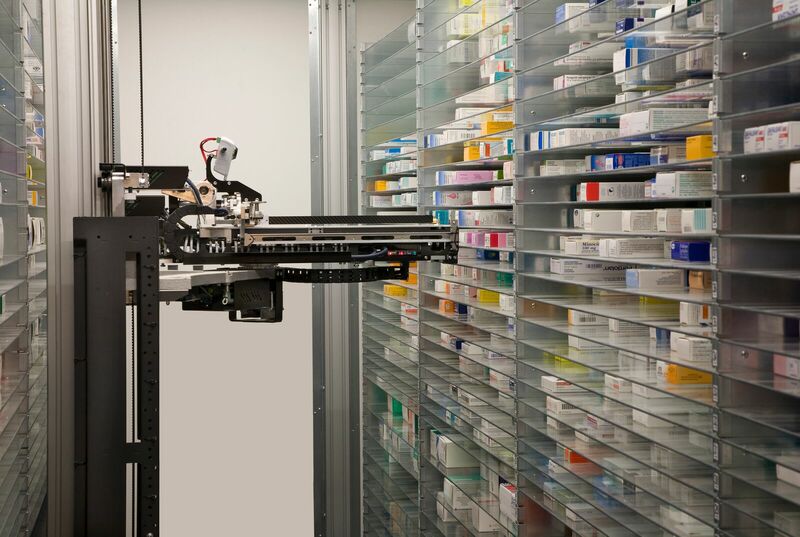 In 2004 Willach was the first company to install a robotic dispensing machine in Australia. By 2005 Willach decided to set up its Asia-Pacific office here and since then the company has installed more than 200 automated dispensaries into pharmacies across the nation. In its first seven and a half years Willach installed 100 CONSIS robotic dispensers; a year and a half later that number had doubled to 200. However, Koot says there’s still plenty of opportunity. 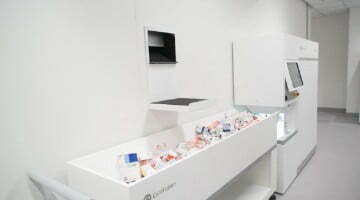 Dose Innovations CEO and pharmacist Robert Allen began installing Rowa Automated Dispensary and Inventory Management robots into Australia in 2012. He says, “We installed our first system in late 2012, and less than four years later, as of March 2016, we have installed 63 robots. There’s another 20 installations currently planned for the next 12 months, so we’re gathering momentum. 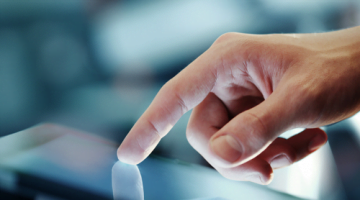 “Pharmacists are really seeing the benefits that our clients are achieving as a result of automation, and realising that they need to seek innovative ways to remain competitive into the future. The true visionaries are finding ways to turn our current challenges into opportunities to improve their patient outcomes, and my team at Dose Innovations is enjoying helping with that. Allen says it’s short sighted to dismiss automation based purely on pharmacy size, volume, or income. “Some of my clients are very small, and have automated to address very specific issues such as space restrictions, or staffing shortages. Terry White Chemists Coffs Harbour installed Willach’s CONSIS robotic dispensing system seven years ago. 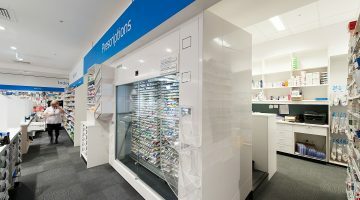 Pharmacist Taya Maloney explains, “Two years ago we redesigned our dispensary to maximise the efficiencies our robot can bring by increasing our script dispensing terminals from three to five to allow for more face-to-face interactions. Being able to dispense scripts in front of the customer saves double handling and allows for counselling to be done at the same time. In addition to improved efficiency and dispensary workflow, the layout needs to make sense for the customer as well. “Automated dispensing has had a huge impact on our pharmacy and on others within the Terry White Group. It has enabled us to move to forward dispensing where our pharmacists engage one on one with the customers while dispensing their scripts, leading to improve health solutions and outcomes. It has dramatically reduced our script waiting time so we are able to process prescriptions within minutes in front of the customers—even those ones with big piles of scripts! “The dispensary is the engine room of the pharmacy. It is here that we really need to have our A-game on every day and be set up for smooth efficient workflow for the benefit of our customers, as well as for our team. “If the dispensary workflow is spot on and flowing well this filters through the entire pharmacy and the pharmacy team and helps set a mood and atmosphere conducive to best practice and outstanding service. Koot says, “It’s all about the customer and their expectations. They can go into a discount model where they have low levels of service but they get a good price or they have a very high service level, which means close interaction with the pharmacist. “People assume that developing a high service level using pharmacy assistants and other staff members is enough for customers. But for customers, really good service means interacting closely with the pharmacist. “If pharmacists continue to spend all their time dispensing, stood behind the counter they can’t offer that service. When you think about this as a model. Think about the customer first. The number one action is engaging with the customer, which means stopping the pharmacist from dispensing. This leads to making the dispensary more efficient to allow the pharmacist to get out front. “There’s a whole bunch of solutions, one of which is an automated robotic dispensing system. Depending on the financial needs of the pharmacy, even more important is workflow and the design of the dispensary, plus the roles and responsibility of the people who work in the pharmacy. This is much more important than if you use fast-moving shelves or a robot. “Key is that the pharmacy owner must want to deliver a delightful experience for the customer and when they follow that through to the logical end it means they have to do something about the workflow, efficiency of the dispensary to create time, space and resources. “When we talk to a potential customer, we don’t have a conversation about a robot until we’ve analysed the workflow of their pharmacy. We take a 360-degree of the business and work out together what it is they’re trying to achieve,” says Koot. Similarly, Dose Innovations doesn’t believe in the one-solution-fits-all approach. “Our solutions are customised for each individual pharmacy, and they all have individual needs,” says Allen. “There are key indicators that we look for, which highlights pharmacies that could benefit from automation. Things like boxes of stock on the floor that haven’t been put away and that note of stress in the voices of the staff. We sit down with the pharmacy owner, listen to their needs, and talk about whether automation is right for them given their situation. Then we propose a solution. Koot also notes that after the solution has gone into the pharmacy they continually go back to the store and work with the pharmacy on support and improvements, if they’re needed. “After three or four years the customers can change, the owner might want to do things differently, and the needs of consumers change so we might re-design or move the robot,” he says.